Everythings look good but if you drive car you need to pay Euro24 to park over night. Hotel is a bit far away from city center but Tram really closed to the hotel. Easy to find food. 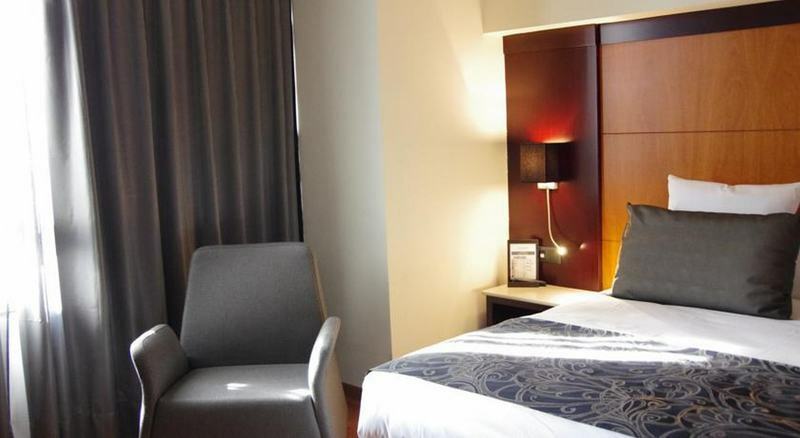 the hotel is located somewhat outside the city centre but it is well accessible by public transport, metro station louise and with the tram, or 15 minutes walking distance from louise metro station. the hotel staff is friendly and helpful. the room was clean and well maintained. i enjoyed the fast and strong wifi connection which was free. con: in the evening the warm water supply was not adequate. may be too many people tried to take a shower at the same time. in the morning there is was no problem. Clean room close to a tram stop. Staff was friendly and helpful. The wifi connection was strong and reliable. Ive had a great stay in the city due to the location and the ambiance is perfect. 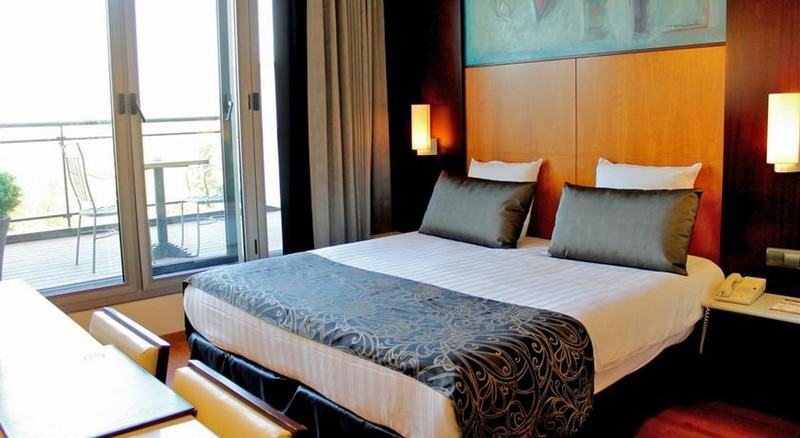 The Catalunia Forum Hotel is nicely located, away from the hectic city centre. Public transport is nearby, taxi's in abundance. The hotel is simple but convenient, breakfast is poor though. 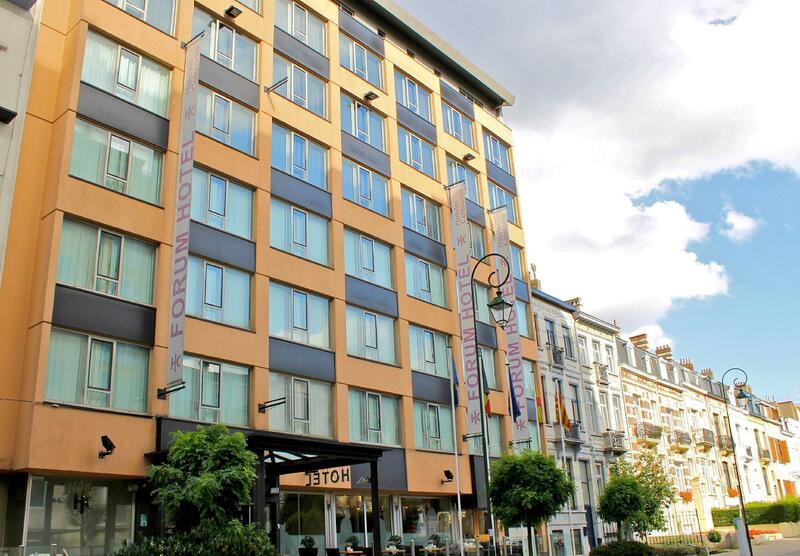 The Hotel Catalonia Forum is a very good hotel and nearby the Brussels center. You can get a metro (10 minutes distance) or a tram and also very quick to go from the airport to the hotel. The rooms are relatively large and clean, with modern equipments (LCD TV etc). The staff is very friendly and a separate breakfast is very reasonable for a Brussels (10€). Highly recommended, as any Hotel Catalonia I was ever on. The Room was clean but we are disappointed because they have safe in the room but to use it u need to pay 5 euro per night. Les poubelles et savon lavabo SDB n'étaient pas néttoyés du précédent client. Je suis très satisfait de cet hôtel, je n'y ai certes pas mangé, mais j'ai passé un agréable moment là-bas...le personnel est sympathique et compétent, la chambre est propre, la salle de bain disposait de tout ce dont vous avez besoin et que vous ne trouvez que généralement dans des hôtels de haut standing...impressionnant et surprenant même. Bref je vous recommande cet hôtel qui, et cela ne gâche rien, propose des prix moindre le week-end....un grand merci à cet Hôtel espagnol qui sait recevoir. Es la segunda vez que me alojo en este hotel. Para mi es correcto, las habitaciones son un poco pequeñas y la ubicación no esta en el centro. Pero para mi es un buen hotel y el servicio muy amable. me gusto todo, la ubicacion, la atencion, las habitaciones, el precio y el desayuno excelente. en general es un hotel cuya relacion-precio es my buena desde la atencion al llegar, hasta el checkout, el baño muy amplio y limpio las camas muy bien, la ubicacion muy facil al centro y el desayuno excelente. Svårt att hitta eftersom namnet förväxlades med hotellkedjans namn, så när vi frågade .visste ingen var det låg. Saknade vattenkokare och kaffe/te på rummet. Hotellet låg lugnt på en tvärgata till en större gata där kommunala kommunikationer fanns in till centrum. St.Gilles var ett trevligt område att bo i men låg utanför centrum. Nära till spårvagn och bussar och inte heller långt från tunnelbanan.Bodde tre nätter på hotellet och kan absolut rekomedera det till fler.